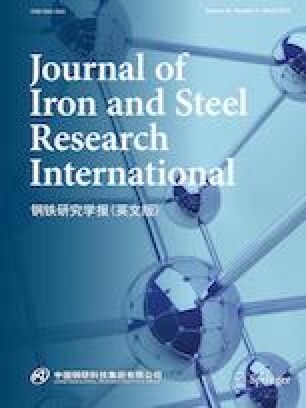 In order to investigate the high-temperature fatigue and fatigue–creep behavior of 15CrNbTi ferritic stainless steel at 800 °C, fatigue tests without holding time in laboratory air and with 10 s holding time induced at maximum cyclic stress under argon atmosphere were conducted on an electrohydraulic servo fatigue testing machine. In addition, the morphologies of fatigue fracture surfaces were observed, and the precipitates and dislocation substructures were characterized. The experimental results show that the fatigue limit of 15CrNbTi ferritic stainless steel is 30 MPa at 800 °C. The fatigue life of the experimental steel obviously decreases if holding time of 10 s is introduced at maximum cyclic stress. Under two test conditions, the fatigue cracks transgranularly initiate at the free surface of fatigue specimens and then propagate in a transgranular mode. It is demonstrated that three kinds of precipitates including (Nb, Ti)C phase, Fe2Nb phase and Fe3Nb3C phase can be observed in 15CrNbTi ferritic stainless steel, and the Fe2Nb and Fe3Nb3C phases are mainly precipitated during the fatigue tests. In the fatigue deformation area, both dislocation tangles and dislocation arrays are observed. Furthermore, the sub-grains which form during the cycling deformation with holding time of 10 s are also found. Moreover, the formation of sub-grains leads to the deterioration of the fatigue life of 15CrNbTi steel. This work was financially supported by the National Natural Science Foundation of China (Nos. 51134010 and U1660205).